I voice E-learning work along with audiobooks, commercials, and other types of projects. My voice is warm, youthful, & engaging (great for PK-12 products.) I am also a certified teacher, so I am happy to work on curriculum projects and copy editing. 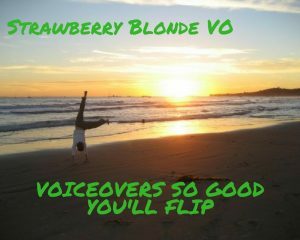 My company offers voiceovers for E-learning, audiobooks, commercials, games, toys, and other types of projects. My voice is warm, youthful, friendly, and engaging so I attract a lot of interest from companies that target PK-12th grade audiences. My age range runs from child- young adult (millennial), which means I can also comfortable cover multiple characters. I work extremely hard to provide five star customer service. This means prompt services, fair prices, and quality audio content. Please see my website for demos, and contact me for personalized short samples and rate quotes. Additionally, I am also a certified teacher (English, humanities, and biology) and a test prep tutor (SSAT, SAT, ACT, GRE, and LSAT), so I can also provide curriculum consultation work and copy editing services for your E-learning projects.